These award winners span emotion, humor, compassion, politics and societal pain points. 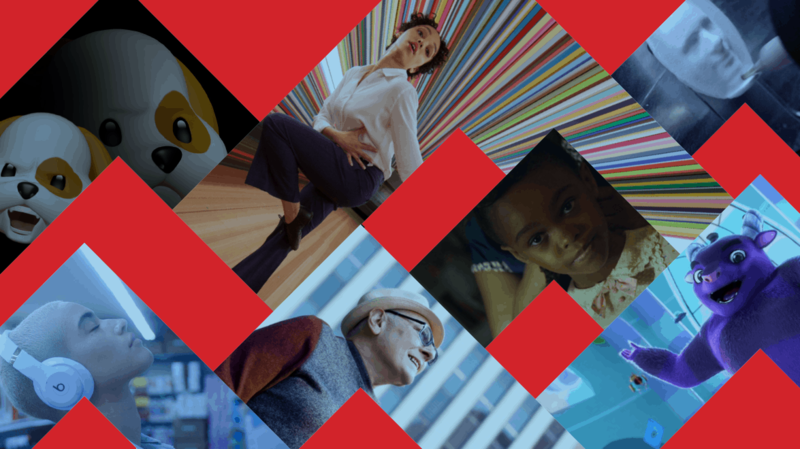 In advance of our inaugural Brand Challenge conference last month, we also launched the Adweek Intelligence Report, a new survey product we are rolling out this year in advance of our key tentpoles to get a better sense of the priorities of the communities we serve with our content and events. The first survey of 200 marketing executives uncovered dozens of interesting insights into both established and challenger brands. One of the clearest signals to ring through the report was that as consumers continue to have more control over their digital destiny in terms of content and advertising, narrative-based marketing—storytelling—will increasingly be the path for brands of all kinds to take if they want to achieve lasting consumer interest and loyalty. We first caught wind of this shift away from interruptive advertising almost four years ago and have followed the story with interest ever since. Last month’s survey confirmed we were right to take notice. 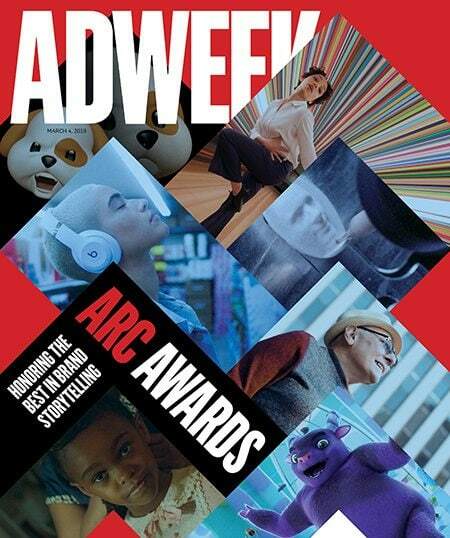 Now in its third year, Adweek’s Arc Awards once again brings you storytelling gems for clients ranging from the U.S. Navy to Skittles. While the arc of these campaigns spans emotion, humor, compassion, politics and societal pain points and woes, they all engage with a powerful narrative rather than a cold interruption. In a significant shift this year, we are publishing Adweek Arc Awards in concert with SXSW and will host a celebration of the winners on Saturday, March 9, in Austin. Our sponsor Screenvision Media will return as well and help us reveal our Grand Arc Award winner. I’d like to thank our panel of 24 jurors, especially jury chairperson Shannon Pruitt, CMO of The Honest Company, for taking time out of their jammed schedules to thoughtfully vet the 253 submissions. Client: Nashville Convention & Visitors Corp.
A documentary about Nashville songwriters and a hip-hop EP devoted to fast food have more in common than it would first appear. Both VMLY&R projects intended to connect with consumers on a visceral level, looking more like brand anthems than traditional calls to action, which is key in getting traction with marketer-backed content in a binge-heavy, overstuffed media environment, says John Godsey, the agency’s chief creative officer. Or listenable, as in the case of the five-track EP that turned the Wendy’s social voice into a recording star. For “webeefin?” the agency used the marketer’s rap battles with its competitors on Twitter as a springboard for a hip-hop release, featuring what Godsey called “sick beats” and legitimate (tongue-in-cheek, self-aware) lyrics. Not an exercise or a stunt, the “webeefin?” tracks were “extremely competitive,” Godsey says, sprinkled with product messages and well-placed jabs at McDonald’s, Wingstop and other rivals. The EP caught fire, instantly and organically, with 800 million earned impressions in 10 days, and listeners streamed 76 years’ worth of “webeefin?” across platforms. “It All Begins With a Song,” for the Nashville Convention & Visitors Corp., generated a different kind of heat, Godsey says—“the emotional variety”—with interviews of dozens of diverse songwriters who toil in relative obscurity while churning out hits for world-famous artists like Aerosmith, Bon Jovi, Kiss, Little Big Town and Pink. The feature-length doc uses the Southern city as a character without resorting to “an overt brand play,” Godsey says. After its debut at the O2 Arena in London, the doc landed on the film-festival circuit (Tribeca may be next) and could soon air on premium cable or streaming services. A reporter stands in front of a school rattling off the death toll from the latest mass shooting. But this crime isn’t unfolding on live TV—it just appears to be. The tragedy actually hasn’t happened yet, and it could be avoided if friends, family and community members take note of a bullied teenager with access to a handgun and retaliation on his mind. “Tomorrow’s News,” a fictitious story structured to look like real breaking news, uses the tagline, “You can stop tomorrow’s shootings when you know the warning signs today.” The digital video comes from Sandy Hook Promise, formed by parents of Sandy Hook Elementary School’s victims, to help people “understand that they have the ability to change tomorrow’s news,” say agencies BBDO New York and Dini von Mueffling Communications. The campaign, with $16.5 million in earned media coverage and 1 billion-plus impressions, landed more than 475 stories and reached 146 countries, helping raise $1 million for the nonprofit group and boosting its “Know the Signs” training sessions by 20 percent. 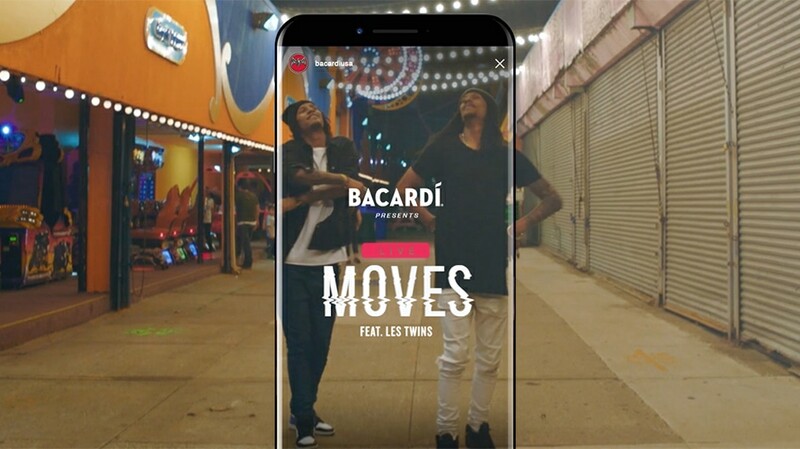 BBDO launched an industry-first program for Bacardi that invited Instagram users to direct a real-time music video through the polls feature for air on the nascent IGTV. During a nine-hour window last summer, fans voted (7,200 of them per hour, on average) on locations, choreography, camera angles and more for “Live Moves,” which featured music from DJ A-Trak and dancers Les Twins hoofing around New York City. The mobile event and music video pulled in more than 1.1 million views in 24 hours, earning 31.5 million media impressions. FKA twigs leaps through a looking glass to an Anderson .Paak soundtrack, and animated puppy, unicorn and chicken emojis lip sync, adorably, to chart-topping hits. Advertising for Apple product the HomePod and the 3D animoji feature on the iPhone X could’ve explained bells and whistles like voice technology and facial recognition. But the brand took the show-don’t-tell route instead. “The elegant execution of a simple idea combined with the perfect music has long been the hallmark of iconic, culture-rippling Apple expressions,” says Brent Anderson, TBWA\Media Arts Lab’s chief creative officer. In “Welcome Home,” which won multiple Cannes Lions, including a Grand Prix, Apple put the transformative power of music on display, with a touch of Alice in Wonderland, to hype its smart HomePod speaker. The result: an intricately choreographed, visually stunning ad from celebrated director Spike Jonze. The agency took a relatable truth (dancing to a great song can cure all kinds of ills, from a brutal day to a cramped living space), and turned it into a music video that rocketed (with no paid media) to the top trending spot on YouTube and stayed there for two consecutive weeks. It became the platform’s most-watched piece of branded content in March 2018. And for a dash of tech-enabled fun, Apple made karaoke stars out of animated characters like bears and robots for “Animoji.” Belting out popular tunes from Childish Gambino, Migos and others, the disembodied creatures snagged more than 40 million social views and generated upward of 300,000 hours of user-generated videos. By touching a screen, a child with cancer can learn about blood transfusions, MRIs and chemotherapy through an animated digital series that translates complicated medical jargon into easy-to-grasp kid-speak. But beyond simple education, the nonprofit Pediatric Brain Tumor Foundation and agency RPA wanted to create engaging pieces of entertainment with colorful characters that could play the role of surrogate buddies, available 24/7 to young patients. RPA tapped 22 animation studios from around the world to produce videos that address not only basic questions about surgery and tests but also emotional issues like fear and loneliness. An immersive AR experience puts the fictional characters, some based on children’s own artwork, into any physical environment so they can give real-time encouragement. Hospitals across the country have adopted “Imaginary Friends,” now translated into more than a dozen languages, and 85 percent of families and medical professionals polled say the films help alleviate kids’ anxiety. Hank and Dottie Viola are native New Yorkers whose trip to Miami Beach in the 1960s kicked off their marriage, still going strong after 57 years. Atlantic Re:think’s goal with the five-minute film was to tell “a larger story about the cultural evolution of Miami and the impact travel has on love and life,” says Michael Monroe, the agency’s marketing vp, while nudging consumers to hit the road and use Trivago for accommodations. Digital and social promotion turned the mini-doc into a hit: Page views on Facebook were 289 percent above and social actions were 483 percent ahead of the agency’s benchmarks, respectively. Recruiting ads for the military have traditionally been one speed (warp) and one note (all adrenaline, all the time), unfolding like a video game or an action flick. The campaign has earned 119 million-plus impressions, including 5 million likes, shares, clicks and comments. Anthony Bourdain traveled the world without ever leaving the city in “Explore Parts Unknown: Little Los Angeles,” sampling progressive Filipino dishes in Chinatown, proper English kidney pie in Santa Monica and Guatemalan pollo con papas from a street market in Westlake. During those visits, he chatted up chefs, restaurateurs, writers and fellow foodies, an assortment of ex-pats and first-generation Americans about how they ended up settling in Southern California. The conversation, as eclectic as the meals, ranged from the aftereffects of Brexit to the intricacies of curing meat. For the six short films, Bourdain navigated in a Range Rover Sport to unsung parts of town (Little Ethiopia and Tehrangeles among them) in what became one of his final projects before his death in June 2018. How did Skittles become one of the most buzzworthy commercials of Super Bowl 2018 without actually advertising during the game? The stunt “couldn’t simply be entertaining,” says DDB chief creative officer Ari Weiss, but had to be “truly disruptive” to justify sitting out the NFL’s marquee event and its 100 million-plus viewers. It fit the bill, Skittles says, boosting sales by 7 percent for its five-week run and delivering 5 billion earned impressions, exceeding the brand’s media goal by 354 percent. The ambush-style campaign became the most talked-about Skittles ad to date. Every 24 minutes, someone in the U.S. dies of an opioid overdose. That grim statistic spurred the National Safety Council to create an interactive installation of 22,000 pills, each carved with a victim’s likeness. The tactile display meant to drive home the crisis in a way that spouting mortality rates alone can’t accomplish. After its Chicago launch, with stops in Atlanta, Buffalo, N.Y., Pittsburgh and Washington, D.C., among other metro areas, more than 15 cities asked to host the memorial, which also handed out 1 million-plus “Warn Me” labels to place on insurance cards and prompt discussion with doctors prescribing painkillers. There’s a brilliant numbers cruncher ready to answer gridiron questions like, “Should I draft Derrick Henry?” or, “Who’s the best sleeper pick on defense?” All you have to do is ask, thanks to Essence and Google. In the run-up to the NFL’s 2018 season, the two partnered with CBS Sports to create “a frictionless way to make fantasy football fun again,” says Garrick Schmitt, the agency’s global director, experience design. The first voice-enabled fantasy sports “assistant” gave fans real-time advice to help build and manage their teams, using machine learning to synthesize reams of data. To promote the AI feature on Google Assistant, Essence shot a demo video with expert commentators and integrated the virtual adviser into CBS Sports coverage, streaming services, podcasts and social media. The program landed more than 170 million impressions, bumping usage intent for Google Assistant by 11 percent and exceeding benchmarks in that measure by more than 10 points. What if the Pride flag could help you see the world? PFLAG Canada and FCB/Six turned the question into a data-driven tool for LGBTQ travelers, allowing them to gauge how safe or welcome they’d be in cities from Dubai to Prague to Bali and beyond. The digital hub (currently still active) ranks locales by marriage equality, anti-discrimination laws, gender-identity protections and other metrics, six in all, each corresponding to a color on the Pride flag. Queries to “Destination Pride” produce dynamic bar graphs and aggregated numeric ratings, with metro areas like Zurich and New York scoring high on the 100-point scale (Tehran lands in the single digits). “Destination Pride,” after more than 100 geo-targeted Facebook ad campaigns, drew users from 156 countries, with 85,000-plus cities searched and flags generated. It was the most discussed and shared communication platform in PFLAG’s 45-year history. Procter & Gamble started a national conversation when it launched “The Talk,” a two-minute film about the discussion black parents have with their children to explain racial bias. Early last year, the agency Hearts & Science wanted to springboard “into the broader cultural zeitgeist,” embedding “The Talk,” part of the brand’s ongoing “My Black Is Beautiful” campaign, into ABC’s hit sitcom Black-ish. The episode, which aired the full ad as part of its storyline, centered on the multigenerational Johnson family and their versions of “the talk.” The groundbreaking placement aimed to draw in mainstream audiences after P&G’s face time on other entertainment programs, including the finale of OWN’s Queen Sugar (via a message from Oprah Winfrey) and the BET Awards. The integration with Black-ish pulled in 15 million online and 4 million broadcast views, generating 25.6 million impressions on social media and more than 100 million earned media impressions. When journalists in China and Uzbekistan write about government corruption and police brutality, their stories may never reach the public because of heavy press censorship. International media outlets such as BBC News, Der Spiegel and The Guardian wrote more than 300 stories about the project, which reached upward of 680 million people. The social-impact world is filled with documentary-style content, and Reframe deliberately wanted to stray from a talking-head format to shine a light on the letter-exchange program from the International Committee of the Red Cross that keeps families in touch with their detained and imprisoned loved ones. Partnering with director Bassam Tariq, Reframe created a five-minute dramatization of a letter from a young man to his father, whose news from home is a mix of the mundane (work, school) and the heartbreaking (death and loss). The patriarch has missed significant milestones, and filmmakers reenact some of the hardships that are hidden between the lines. Filmed in Beirut and airing on Vice, the mini-movie, called “The Promise,” aims “to show how powerful a medium these letters can be,” says Michael Peay, Reframe’s executive producer. In 2017 alone, the ICRC delivered more than 150,000 messages, which are often the only communication for separated families, prisoners of war and refugees. Mette Towley did more than steal scenes in the music video for N.E.R.D’s collaboration with Rihanna on the hit song “Lemon.” The professional dancer ran away with the show, inspiring people to imitate her moves and share the results (#LemonDanceChallenge went viral). Viacom Velocity tapped into that groundswell with a special edition of MTV’s social video series, LIT!, starring Towley and “Lemon” choreographer JaQuel Knight. Weaving in Beats’ Studio3 wireless headphones as a subtle product placement, the mini-documentary dove into Towley’s life and aesthetic, along with Knight’s creative process. There was also a dance tutorial with LIT! host Tanisha Scott. In what the agency called “a prime example of how TV networks are investing in new ways to reach viewers across every screen,” the campaign’s two-dozen pieces of custom content garnered 4.3 million views, 19.4 million impressions and 111,000 engagements on Instagram, Snapchat, Twitter, YouTube and other channels. Gender stereotypes, body image, sexual assault—discussing sensitive subjects has been the raison d’être for “Man Enough,” which assembles high-profile men from diverse backgrounds to explore modern masculinity. The series, from actor Justin Baldoni’s Wayfarer Entertainment and Harry’s, features the Jane the Virgin star along with Derek Hough, Scooter Braun, Bassem Youssef, Prince Ea and others talking candidly around a dinner table about such issues as “manning up” and showing vulnerability, with interviews interspersed throughout the episodes with philosophers, thought leaders and academics. The campaign, which forged partnerships with nonprofit groups and crafted a learning curriculum as a companion piece, drew 4.4 million organic views for its first four videos on Facebook Watch and YouTube. Total engagements reached 258,000, with 42,000 shares. High schools and universities around the country have shown the episodes in their classrooms. Few marketers would turn their iconic logo on its head, literally and publicly. 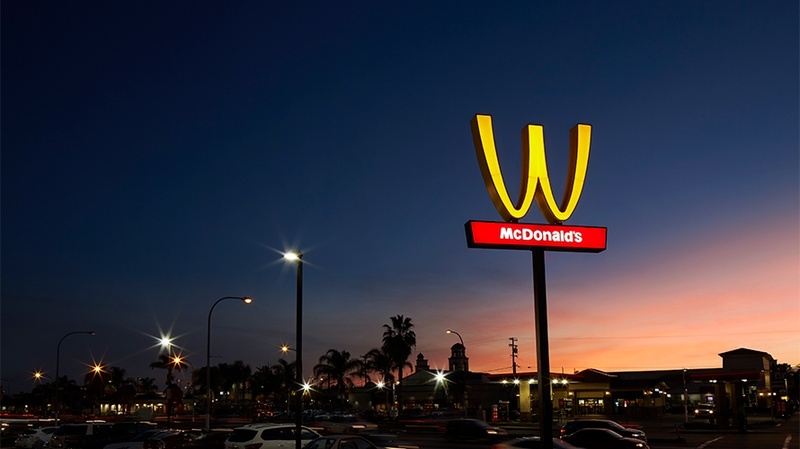 But McDonald’s did just that, flipping the “M” in its famous Golden Arches to make it into a “W” on all its digital and social channels for International Women’s Day. The campaign highlighted the 60 percent of the fast-food chain’s managers who are women, and stocked 100 female-owned locations around the country with “W” packaging, crew shirts, hats and bag stuffers. Patricia Williams, a franchisee with 18 restaurants, sported the recalibrated outdoor sign on March 8 at her home base, a McDonald’s she runs with her two daughters in Lynwood, Calif. This story first appeared in the March 4, 2019, issue of Adweek magazine. Click here to subscribe.